This is the February packet from the Fluency for the Year Bundle. To save BIG, purchase the bundle by clicking here. Included in this packet, you will find 10 February passages (20, if you include the differentiated version); 5 fiction passages and 5 nonfiction passages). 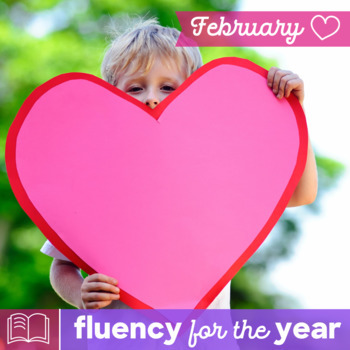 The Fluency for the Year February Packet is a resource designed specifically with first graders and second graders in mind. The passages would work wonderfully with advanced kindergarteners and struggling upper grade students too.